Last year, I did 20 new things (at least,) and wrote about it here. 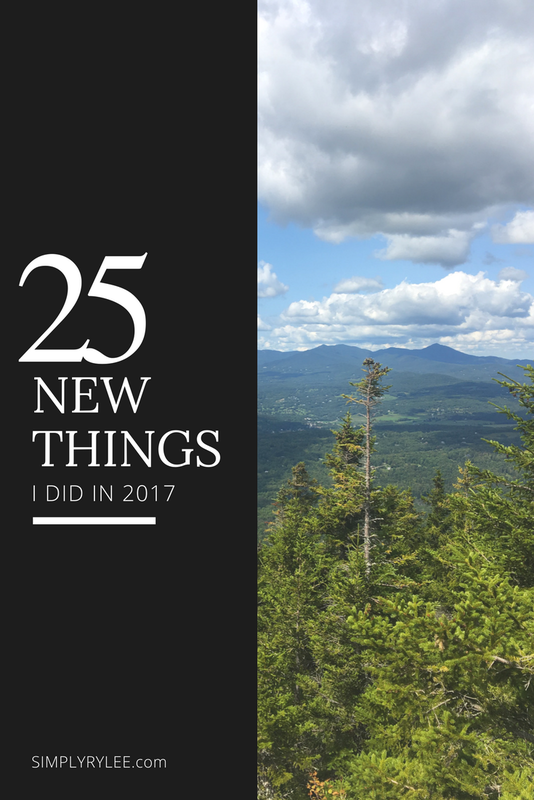 This year, I definitely did more than 20 new things. So, in an effort to outdo literally only myself, here are 25 new things. 14. Received salt and pepper shakers with my face on them. That was cool. 15. Wore falsies to Moes. Got free queso. 17. Finally had a valentine on Valentine's day. 19. Decided once and for all that I don't owe proof of my mental illness to anyone. Decided I didn't need to seem sick or explain myself or even be courageous. 22. Started drinking RedBull more regularly than I should. 23. Had three brushes with cancer. That was weird. 24. Found out that I care way more about sandwiches than basically any food ever. Definitely committing to that one. 25. Vermont got a Target. I didn't do that. But I did tweet about it a lot.